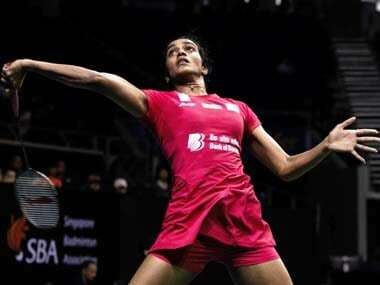 Auspicious Dussehra on Thursday proved to be one of the most satisfying days for Indian badminton. At the time this was being written, three of the four Indian contenders for a quarter-final berth at the Denmark Open World Tour Super 750 championships had made the grade with wondrous victories, vanquishing opponents who were, on paper at least, rated far higher than them. 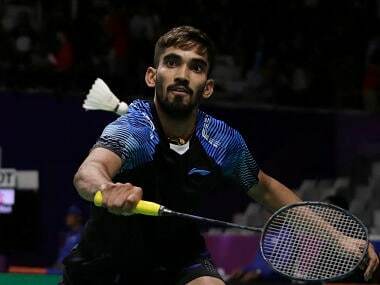 And the fourth, Kidambi Srikanth, was yet to play his second round match, much later tonight, against the man he had vanquished in the final of the 2014 China Open, the legendary five-time world champion and two-time Olympic gold medallist, Lin Dan. India’s finest and most consistent player of this last decade, Saina Nehwal, strode majestically into the final eight with a commanding victory over World No 2, Akane Yamaguchi of Japan; and provided the inspiration for Sameer Verma to lower the colours of recently crowned Asian Games champion, Jonatan Christie of Indonesia. Feeding off these twin triumphs, the women’s doubles combination of Ashwini Ponnappa and N Sikki Reddy guided the crack South Korean pairing of Lee So Hee and Shin Seung Chan towards the exit door, with a fighting, come-from-behind 18-21, 22-20, 21-18 win in a minute over the hour mark. The Koreans had been seeded seventh in this $775,000 prize money tournament, but could not halt the march of the Indians, who played one of the finest matches of their three-year long partnership. But the story of the day had to be Saina Nehwal. Not for four long years since their first-ever clash at the November 2014 China Open, has the 28-year-old Indian beaten the Yamaguchi. In half-a-dozen meetings, all of which have taken place over the past two years, Saina has consistently tasted defeat against the Japanese ace, mostly losing in straight games, and only stretching her diminutive rival over the full distance on two of those six occasions. On Thursday, however, Saina rose to her full stature, underlining her slow but steady improvement in both footspeed and fitness since her career-threatening knee injury at the 2016 Rio Olympics. The World no 10 dominated the second-seeded Yamaguchi for a facile 36-minute 21-15, 21-17 triumph at the pre-quarter-final stage of this year’s Denmark Open. The Indian shuttle queen – imbibing vital inputs from 2014 Commonwealth Games champion, Parupalli Kashyap, who sat in as one of her two coaches – handled the diabolical drift in the vast Odense Sports Park arena better than her relatively less experienced rival, seven years her junior; and notched up a rousing win to show that, in what should be the twilight of her magnificent career, she is far from finished. The 32 year old Kashyap, who failed to qualify for a men’s singles berth in this competition, could be clearly heard during the breather in the second game, when Saina was trailing by an 8-11 margin, urging her to move her rival around and keep the shuttle low, to counter the drift. He advised her to drag her opponent to the net, and then send her scurrying back to the baseline with flat, attacking clears. The Hissar-born, Hyderabad-domiciled Saina implemented the strategy brilliantly, to totally dominate the net and force her supremely fit rival into errors galore. Yamaguchi was rarely permitted to get behind or below the shuttle, and her desperate clears were intercepted in midcourt by an alert Saina, and dealt with summarily with her trademark body smashes. The Indian’s improved fitness, court movements and raw hunger were all apparent from the fact that, from a 16-17 situation, she bagged the final five points of the second stanza with dominant, aggressive play. In the wake of the shock loss suffered by her compatriot, PV Sindhu, in the opening round of the $775,000 prize money event, Saina was saddled with the task of carrying the Indian pennant forward in the women’s singles, for a quarter-final duel on Friday against Nozomi Okuhara of Japan. The eighth-seeded 2017 world champion, meanwhile, efficiently dispatched her fellow-countrywoman, Saena Kawakami, by a 21-15, 21-14 margin, after beating Thailand’s Nitchaon Jindapol by a much tighter scoreline at 21-19, 21-18 in her opening joust. Okuhara, it will be remembered, saved four match-points against Saina in the quarter-finals of the Korea Open, and won the final six points of their no-holds-barred encounter, to go on to successfully defend her crown in Seoul. Friday’s meeting – the 11th between the two, with the Indian leading 6-4, but with defeats in their most recent three duels – will give the Gopichand Academy trainee a gilt-edged opportunity of gaining revenge for her heart-breaking reverse at the last-eight stage of the Korea Open. Saina’s pyrotechnics against Yamaguchi inspired 23 year old Sameer Verma to produce another superlative performance, to pip the 2018 Asian Games gold medallist from Indonesia, Jonatan Christie, in a 70-minute cliff-hanger, at 23-21, 6-21, 22-20. The Dhar (Madhya Pradesh) native had lowered the colours of the third-seeded reigning All England champion, Shi Yuqi of China, at 21-17, 21-18 in his 44-minute long lung-opener in the tournament, on Tuesday. While Verma had gone hammer-and-tongs with Shi, and engaged him in toe-to-toe punching bouts, he played a very mature game against the 20 year old Indonesian. Realising early in the second stanza that, with the huge initial lead Christie took, he would have to struggle hard to draw level, Sameer preferred to save his energy for the decider, and capitulated in the second without much of a fight. Despite trailing 3-8 in the decider, Sameer adopted the strategy of slowing the game down against the speedy Christie, but retaining control of the rallies, to draw level at 10, and then power ahead to 15-10. Although the Indonesian fought valiantly to draw level, Sameer held three match-points at 20-17, dithered for a few moments as his nerves did the tango, but recovered his poise to deliver the coup-de-grace. 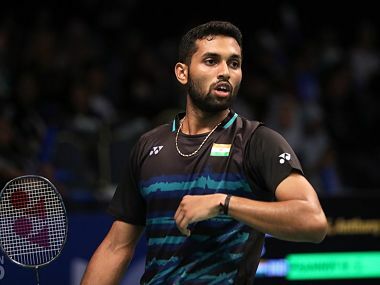 On the morrow, Sameer will clash against the winner of the Srikanth-Lin Dan match, which was expected to end at close to midnight, Indian time (8:30 p.m., Denmark time). Neither opponent presents a finger-licking prospect. Verma has not played his compatriot in international competition before, but has not troubled Srikanth at home. The Chinese great, on the other hand, has beaten Sameer twice this year, both times in straight sets. But then, Shi Yuqi had an unblemished 2-0 record against Sameer, going into their first-round match; and the Indian handed the Chinese ace a convincing straight-games defeat. On his current form, he would not be flattered if he did an encore against either of the antagonists scheduled to face him in Friday’s quarter-finals.